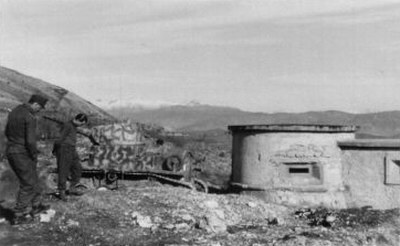 Late 1943. 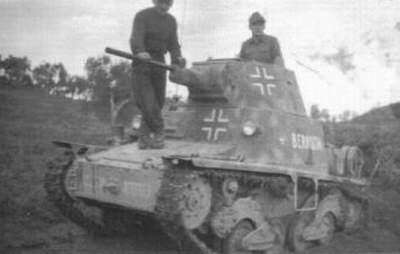 A number of captured Italian L6/40 (PzKpfw. 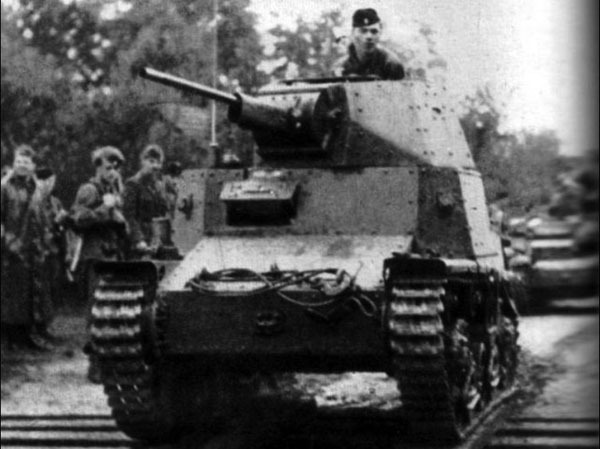 L6/40 733(i)) tanks were given to Croatia sometime after the Italian surrender on 8 September. 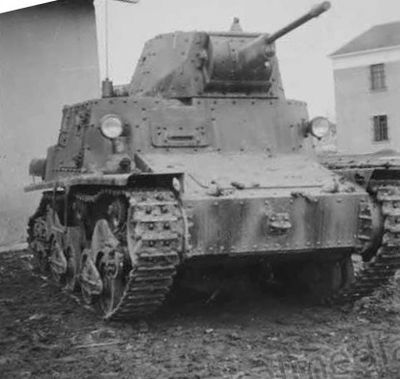 Just behind this one, a L3. 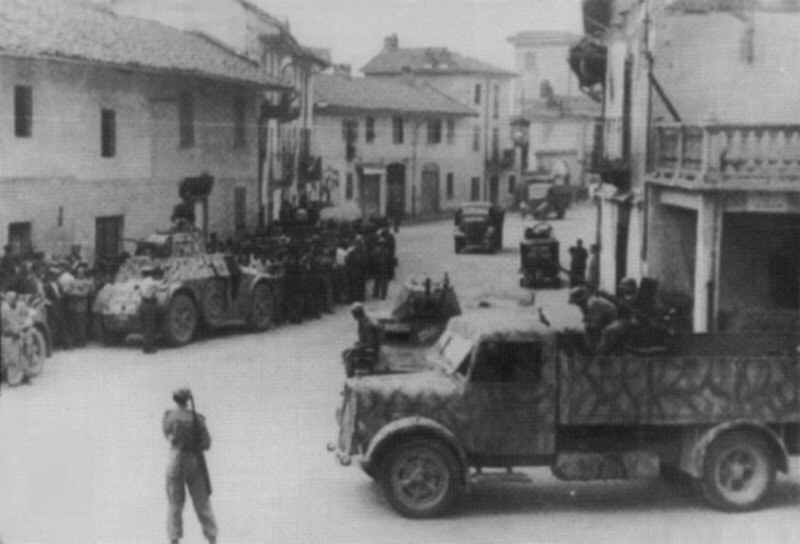 Number of CV33/35/38 and armoured trucks like Fiat 665NM Blindato were given too. 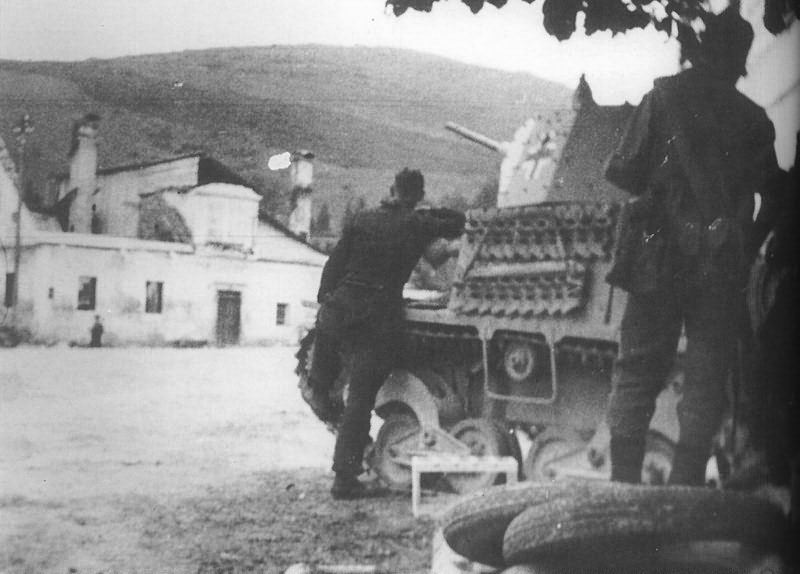 L 6/40 from an unidentified Ordnungspolizei unit supports a Domobranci unit in the village of Loski Potok (west of Ribnica, in the Provinz Laibach). 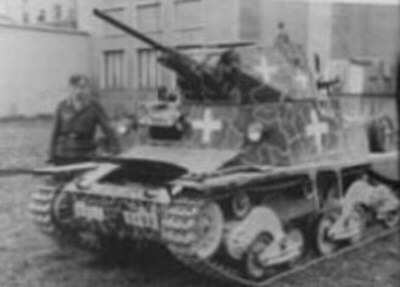 The tank is painted in sand yellow (Italian or German) and has some track segments hung on the superstructure side to increase protection. 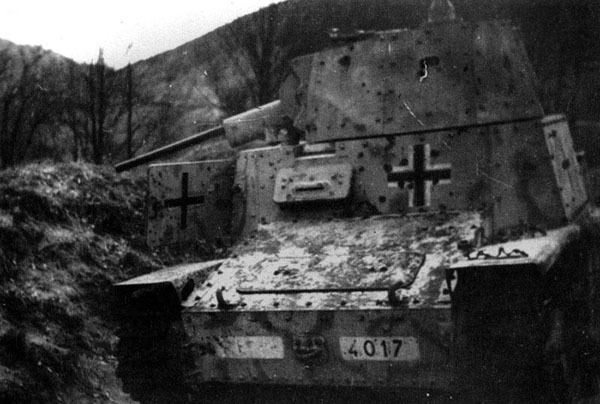 Abandoned L 6/40 in Gorski kotar area. 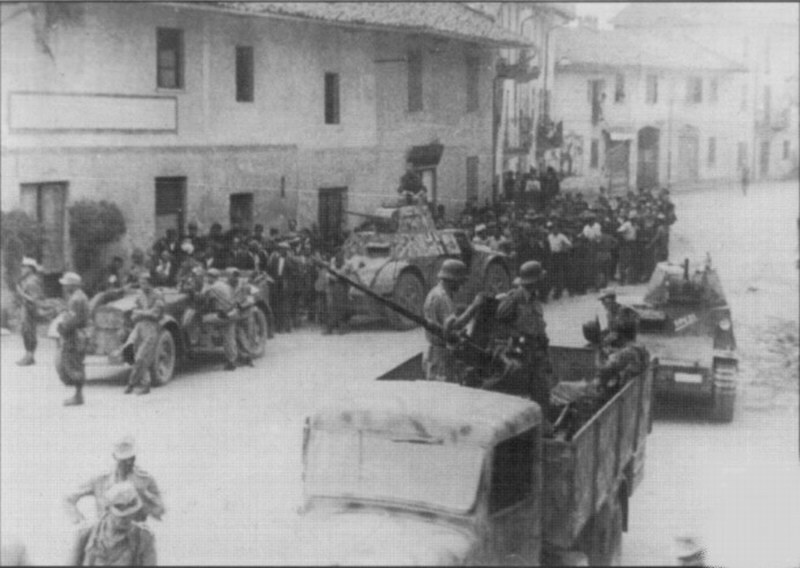 Croatia, 1945.